Vegemite is considered as much a part of Australia’s heritage as kangaroos and the Holden cars. It is actually an Australian obsession that has become a unique and loved symbol of the Australian nation. A Vegemite sandwich to an Australian kid is the equivalent of a peanut butter and jelly sandwich to an American kid – but the taste is QUITE different! Vegemite is one of several yeast extract spreads sold in Australia. It is made from leftover brewers’ yeast extract (a by-product of beer manufacture) and various vegetable and spice additives. It is very dark reddish-brown, almost black, in color, and one of the richest sources known of Vitamin B. It is thick like peanut butter, it is very salty, and it tastes like – well let’s just say that it is an acquired taste! Australian children are brought up on Vegemite from the time they are babies. It is said that Australians are known to travel all over the world with at least one small jar of Vegemite in their luggage, for fear that they will not be able to find it. 22.7 million jars of Vegemite are manufactured in Australia every year – that’s 235 jars per minute. 30 jars are sold in Australia for every one exported. Vegemite is in nine out of ten pantries in Australia. In 1922, Fred Walker (1884-1935) of Melbourne, Australia decided to try to make a special “yeast extract” that would be as delicious as it was nourishing for his Fred Walker Cheese Company to sell. The chief scientist in the company Fred owned was Dr. Cyril P. Callister, and it was Dr. Callister who invented the first Vegemite spread. He used brewer’s yeast and blended the yeast extract with ingredients like celery, onion, salt, and a few secret ingredients to make this paste. In 1924, a national competition and a prize of 50 pounds was offered to the winner or winners to name the new product. The name ‘Vegemite’ was finally chosen from the entries by Fred’s daughter Sheilah. With its unusual and unique flavor, Vegemite was not an immediate success and sales were slow. In 1928 Vegemite was renamed and registered as Parwill in an attempt to boost its sales and to attract customers of the rival spread Marmite (an English yeast spread that dominated the Australian market since 1910). “If Marmite…then Parwill” was the rationale behind Walker’s strategy to carve a niche in the market for his spread. The name Parwill and Walker’s play on words didn’t catch on. It was only sold as Parwill for a short time in Queensland. The name was withdrawn in 1935, and the original name was reinstated. Earlier, in 1925, Walker had arranged with the Chicago, Illinois firm of James L. Kraft to make processed cheese in Australia. A company called the Kraft Walker Cheese Co. was established alongside Fred Walker and Co. In 1935, Walker used the success of his processed cheese to launch a new campaign to revive Vegemite. The company launched 2-year coupon redemption scheme whereby a jar of Vegemite was given away with every purchase of other products in the Fred Walker Cheese Company. Australians tried the product and loved it. Vegemite was well and truly on the road to success. Two years later, the company held a poetry competition and once again brought this product into the national spotlight. This time its success the prizes were imported American Pontiac cars. Entries flooded in and sales multiplied. In 1935, the recipe and manufacturing methods was sold to Kraft Foods and has been wholly owned and made by American companies. In 1939, the product received endorsement from the British Medical Association which allowed doctors to recommend it as a Vitamin B-rich, nutritionally balanced food for patients. Vegemite fights with the men up north! If you are one of those who don’t need Vegemite medicinally, then thousands of invalids are asking you to deny yourself of it for the time being. The main change to the original recipe in recent years has been to reduce the salt content from 10% to 8%. Vegemite’s rise to popularity was helped by the marketing campaigns written by J. Walter Thompson advertising in 1954. They used groups of smiling, attractive healthy children singing a catchy The Happy Little Vegemite Song (see below). The song was first aired on radio in 1954 and then on television in 1956. This advertising campaign continued until the late 1960s. Spread butter on a piece of toast or bread. Cover very thinly with Vegemite (for the optimum Vegemite sandwich you only need a dab). Dip your knife in the Vegemite, and scrape up just a bit (it will mix right in with the butter and spread easily). Some people like to "marble" the Vegemite into the butter. Eat it open-faced and enjoy! Your explanation is mostly fine, but some of us like a fair coating of the stuff, not just a scrape. I’ll eat it out of the jar! But one of the most useful tips to give any cook, is how it can save an anemic gravy: When a gravy lacks colour or flavour, a quarter to a half teaspoon or so always saves the day. Young-uns often wonder why my gravy is always so good; and if they’re nice, I let them in on the secret that my Grandma told me. Funny to think my family has used a product since it was invented. Thanks for the history lesson, and try Vegemite in your gravy, you’ll love it! You might like to know that when the company sold overseas, it was cause for national concern…everybody was outraged, and worried that “the Yanks would stuff-it-up”. People were ringing radio stations calling for the government to stop the sale. Private citizens were trying to raise funds to make a counter offer…you wouldn’t believe the furor it created. Another favourite use of my Mum’s, when she felt run-down, was vegemite ‘soup’; just a teaspoon of vegemite in boiling water. I used to like thinly sliced raw cabbage, garlic and vegemite sandwiches. Sounds terrible, but very healthy and yummy. Every kid in Australia ate Vegemite on SAO biscuits; often with tomato, and, or cheese. This combo is particularly yummy grilled as an open sandwich with Kraft sliced cheese (the way it bubbles up and browns-off…yum!). I’m an easy going old bloke, and I have a young lodger who gets away with murder because I “don’t give a rats” about money or anything – you could hit me with a cricket bat and I’d blink at you, LOL – anyway, he used the last of the Vegemite the other month. God he was lucky I didn’t rip his head off – LOL. Now I keep an emergency jar hidden away for myself, just in case. Growing-up, only ‘pommies and wankers’ ate marmite. I still haven’t tasted it (excuse the language). We all agreed the best pies were “Sergeants pies,” though we’d eat “Four and Twenty” if that was all we could get. People argued about Ford and Holden; and we’re still arguing about which code of football is best…but apart from cricket, vegemite is one of the great unifying forces – no matter your politics or standing in life, we all love our Vegemite. What ever you do, don’t muck with the recipe too much, or you can forget about being allies. LOL.It was a national tragedy the day that Sergeants stopped baking pies. People went around buying-up the last run, and freezing them. It was very sad I remember. We mourned their passing for years, quite literally. The new ones are ok, but not a patch on the original. Aussies used to have them flown overseas when touring. It’s the highest praise for a pie to say it’s almost as good as a Sergeants. I love my vegemite, and the new cheesymite. I’m thankful I can now order it from Amazon. Two of my kids had it daily when they were toddlers, and suddenly I couldn’t get it anymore. (I live in Canada now.) Now they think it’s gross… When I lived in Australia and was pregnant, on my dietary list the doc gave me on what to eat foods during pregnancy, vegemite sandwich was on it for every day. I use it in stew, soups, gravies, with cheese, liverwurst, there are tons of different ways to use it. Where can I get this “cheesymite”? Having tasted both spreads, Vegemite is a pale imitation of the orginal Marmite. Crazy. I’ve practically lived on vegemite my whole life. I love it. You poor Americans! Our first trip to Australia a few years back got me hooked on Vegimate. We love it, but it is hard to get in the U.S. at a reasonable price. Any suggestions? Please let me know. One can buy it at Cost Plus Worldmarket. Marmite as well. The best yeast extract, though, is Vitam-R from Germany: less tart/ bitter and less salty but more flavourful than than the two others, overall more balanced and softer to spread. No idea if available outside Germany, though, and there only in certain “holistic” stores nationwide and online. With and without added herbs. Perfect with butter and cheese on a hearty rye bread. Walmart.com has it. I don’t know what is reasonable for the price but shipping was free. Myself, my children, grandchildren, and great grandchildren have all grown up with vegemite. I am in shock to find the original flavour has gone. I have tried the original and the salt reduced to find it now causes me to gag and I can no longer have it in the house. Something has changed since the new ownership of the Company. Has anyone else noticed this subtle change. I need the original one back again. I agree with Leonie and Jodie; the taste is very different, with a disagreeable pong. 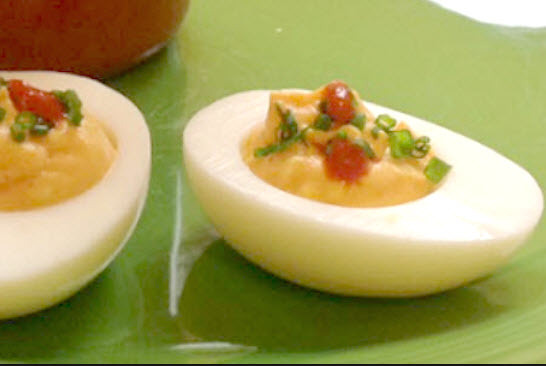 I keep it in the refrigerator because I no longer believe this new recipe lasts as long as the original. But we’re all aware that nowadays most goods are manufactured with a short life in mind so that there’s a high turnover. People having the Vegemite sitting happily in the cupboard for ages is not good for business. And…look what happened to Arnott’s biscuits…the thickness was trimmed down. Have you noticed that Iced VoVos no longer have pink marshmallow …it’s now fondant. And the jam strip down the centre is a poor copy. And…Milo has changed for the worse…the quality of the Milo itself…it’s now a fought powder whereas the original was more uniform in texture. The taste is awful. But, we still buy it , more for nostalgia. Thin layer??? Nah just whack it on like your peanut butter. Vegemite is a staple in my diet. Nothing like Vegemite toast with a cup of Lipton tea in the morning.. I know my father in law puts Vegemite in a beef marinades or he bastes it on I’m not sure. Yes couldn’t live without it. I just bought a whole flat of 12 jars from Amazon to get the best price. So now I’m wondering if anyone knows if I can freeze the jars. Just thaw out a couple at a time. Anyone? I bought a small jar of Vegemite more than 5 years ago (maybe 10? Not sure. . .) in (I think) a Fairway Market store. At any rate after I opened it it went in the refrigerator – and when I moved to my new house almost five years ago, it moved with me, with only the small marks of the fork tines I used to sample it still there. In all this time there has been no mold growth or anything else, and it tastes just as it did the day I opened it so long ago. I just had a little mixed with some peanut butter, and having it that way isn’t bad at all . . . I’d like to use up the jar, might try it in some recipes or on toast with butter, like our hearty friends down under enjoy it . . . It should be “richest known sources”. Wow – vegemite is the best although it’s a little bit to salty. Anyway who am I to say that, it’s not like I am the president of the United States of America. 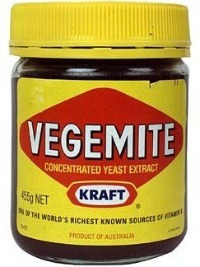 Where is Vegemite available in the USA?? Sounds interesting!!! & healthful. Found mine at World Market. A generous spoon full goes in with every batch of gaspacio I make in my blender. Just to inform that now in Brazil you can find a very similar product to Marmite or Vegemite with the name of Cenovit. Cenovit has the same great taste and beside spreading on the bread with butter, you can use it in many recipes and the main result will be to bring up all the flavors because Cenovit give a lot of “umami”.